I earned a bachelor’s degree in psychology and philosophy in 1983 from Minnesota State University Moorhead. In psychology, I worked most closely with Philip L. Rice and Gary Nickell; in philosophy, I worked most closely with Charles R. Magel and Arnold Johanson. I earned my graduate degrees at Purdue University, where, among others, I was fortunate to work with Alice H. Eagly on research concerning social influence and gender differences. This work set the stage for the rest of my career and still influences my thinking today. The social influence work focused on the role of involvement in persuasion (e.g., Johnson & Eagly, 1989); the gender difference work focused on the style of leadership that men and women exhibit across a wide array of organizational contexts (e.g., Eagly & Johnson, 1990). The involvement work focused on a micro process generally between two people whereas the gender work is multi-level: Men and women differ in the styles they use to lead depending on the context and type of organization. 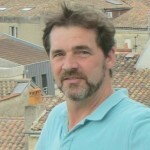 On completing my Ph.D. in 1988, I was not fully cognizant of how congruent the two streams of research are, and this understanding would find its expression in a 2010 work focusing on how networks, individuals, and resources are involved in HIV risk and AIDS care; see more on that subject below. I began my career at Syracuse University in 1988, continuing to do research on social influence. In 1995, I received my first extramural grant, a Scientist Development Award (then called a K21; now called a K01), mentored by Martin Fishbein (then at the Centers for Disease Control and Prevention in Atlanta, GA) and Michael P. Carey (now at Brown University). SHARP originated in 1998 when I was at Syracuse University, where the acronym first stood for “Syntheses of HIV & AIDS Research Program,” a moniker suggested by one of my lab group members as a handy name to summarize the goals of my first NIH regular research grant (R01). In two decades of research focused on HIV/AIDS, it has become abundantly clear that behavior—any behavior, not just HIV risk or AIDS care—is determined not just from within the individual but also from social forces surrounding the individual, much as Kurt Lewin’s field theory would put it. The difference is that scientific advances have enabled us to define social forces with much greater precision. I have also profited with another Scientist Development Award (K18), which gave me intensive instruction in spatiotemporal (geographic) strategies, working especially with UConn Prof. Ellen Cromley. I have been fortunately enough to receive two competing renewals of the R01 from NIMH, in 2003 and 2008. In total, my colleagues and I have received two decades of continuous NIH support focusing on issues related to HIV prevention (and AIDS care). Recent NIH funding has continued this record, although with a broader focus. Over the years, my colleagues and I have pursued a broader program of research. One emphasis is mental health. I have worked on techniques to reduce depression—including, so far, anti-depressants, exercise, music consumption and production, and behavioral interventions. I have recently expanded my focus to include physical health as well, focusing on cancer, obesity, and blood pressure. Many of these projects seek collaborators with professors in other departments. 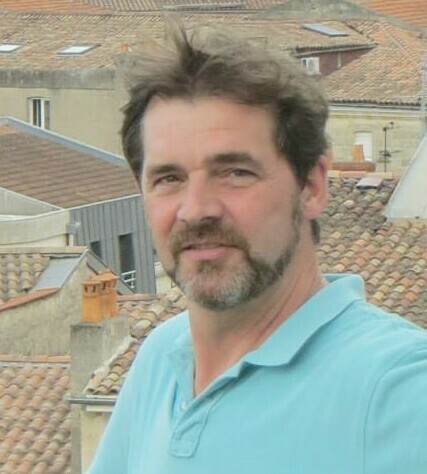 Throughout my career, I have prided myself as a methodologist, specializing in techniques of systematic reviewing and meta-analysis; methodological skills help to make cross-disciplinary collaborations possible. I write a blog on all aspects of meta-analysis here. You can see listings of my publications on Google Scholar. In the last several years, a prominent focus for SHARP has been what makes communities healthy. A focus on HIV/AIDS necessitates taking a broad view on the causes of human behavior, which are not simply internal to a person, but rather shared with the networks that envelop him or her. People share resources with each other, so that networks cannot exist without people. The reverse is also true: People cannot exist and thrive without networks, so the process is reciprocal. Think of how vulnerable human infants are until they develop relevant skills. Think of how vulnerable young adults are when they lack sufficient physical or mental resources. Think of how people reward each other when they comply and punish each other when they do not. Resources are not merely tangible, but also intangible, and the intangible resources often are more important to behavior than the tangible resources. If there is a single most important article that sums up this perspective about the co-dependence between networks, individuals, and the resources they exchange, it is the Network Individual Resource (NIR) Model, published in 2010. This article is a consensus statement authored by 14 scholars who have many contributions related to HIV prevention and AIDS care. It merges broad literature related to social influence, power, stigma, social structure, and public health. 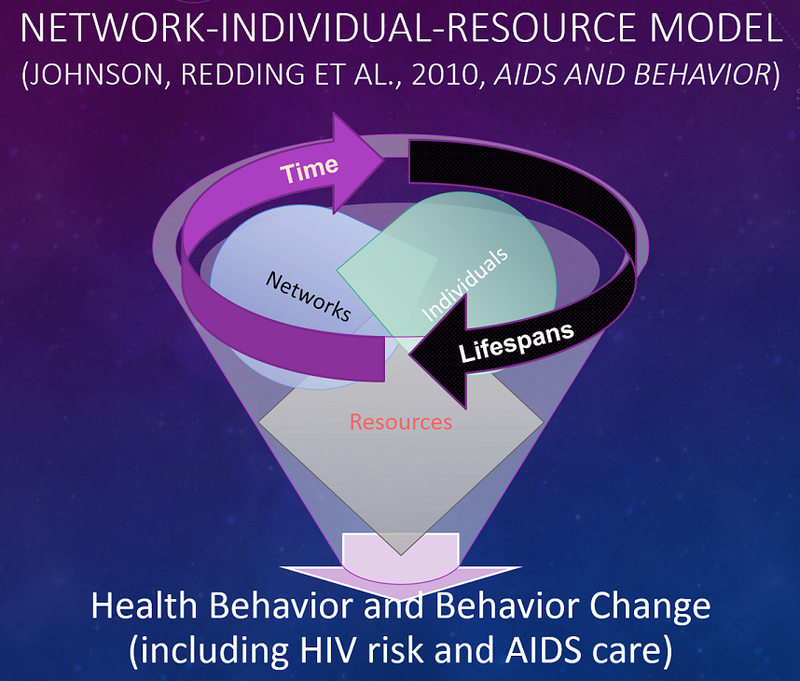 Although it is focused on HIV risk and AIDS care as targets to understand, in fact, the NIR model represents a broad theory of behavior, and there are echoes of my early-career work in it. The article also identifies how prominent preceding models of behavior had only indirectly accommodated networks and the role of tangible and mental resources. It accommodates structural-level influences by identifying them as networks whose influence can increase risk or improve health. Much of the research I am doing currently relies on the NIR model. As described in the research link, much of my current work relies on databases that include geographical location where people live. By joining databases that have the same geographical information, it becomes possible to learn a great deal about what makes communities healthy or unhealthy. We can examine how communities that experience different levels of stress or greater levels of depression function in other respects. We can also examine whether changes in key variables are related to health outcomes. We can focus on factors that help promote human rights observances and avoid human rights abuses. The broadening nature of SHARP merited a title change, which debuted in April, 2014: Systematic Health Action Research Program. Thus, our research program remains SHARP, but the name is broader. Robert E. Low, a former social psychology graduate student who worked with me, designed SHARP’s inspirational logo. SHARP remains Systematic because we use systematic observations (e.g., systematic review strategies) and because we are programmatic (doing series of related studies). Obviously, we focus on Health, broadly speaking. Action is of crucial importance both as a variable in studies and as something that scholars and officials do. Health behavior is a SHARP focus because nearly all public health problems have a behavioral focus. Thus, creating safer actions is a key goal of all health sciences, related either to lengthening lives, to improving quality of life, or both. Action Research also has a long history in psychology and is especially linked to the legacy of Kurt Lewin and his followers, who did targeted work in communities to solve problems that they faced. Action research is also a key value of the Society for the Psychological Study of Social Issues (SPSSI), which was founded in 1936 by a set of scholars from numerous disciplines. Thus, much of what SHARP does is also relevant to Human Rights. Finally, SHARP remains a Program of interrelated projects focused on health. Being SHARP literally means doing high-quality research with the biggest and best possible databases, focusing on issues that matter the most for society. Such research offers the best potential to improve quality of life–decrease depression, improve mental health, reduce inequality, reduce disease, reduce blood pressure–and reduce mortality. In short, real social issues are what matter most. When we understand how to make interventions promote health better, we have the means of improving public health. In turn, knowing how to make more effective interventions hinges on understanding what makes people and their networks tick. Our group brings work from multiple disciplines to bear on such issues. We develop and evaluate theories that have broad applicability to the social condition. These theories benefit from many fields, foremost of which are social psychology, health psychology, communication sciences, sociology, and social epidemiology. Our methods are empirical and are friendly to a “big data” view of science: Individuals are nested in networks of peers, families, and larger communities (Johnson et al., 2010). Exemplary recent articles include those focused on White Americans’ attitudes toward African Americans (Reid et al., 2014), the role of depression in reducing HIV risk for heterosexual women (Lennon et al., 2012), the role of exercise in improving mental health in cancer survivors (Brown et al., 2012, 2013; Ferrer et al., 2011), and methodological quality (Johnson et al., 2014, 2015). Finally, the SHARP lab is a collaborative, communal collective: We share expertise and time for the betterment of others. If you follow SHARP’s Twitter feed, which I currently manage (though I take suggestions from others what to Tweet!). I tweet or re-tweet items of relevance to SHARP research projects. You’ll also see links to SHARP tweets on the front page of this website. p.s. Some have asked for some personal information, and because personal and professional networks so often intersect, following are a few tidbits. I routinely bike to work, even in cold weather. I’m married to an artist, Blanche Şerban, whose art frequently graces SHARP and CHIP work spaces. 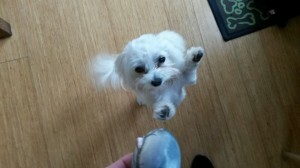 We have a little dog, Daisy (see photo, right), who is the official SHARP mascot (! ), and often is seen around UConn campus. We often travel, sometimes taking Daisy with us. We are big into culture, languages, food, and music. One of my favorite pastimes is playing piano, either solo, in chamber ensembles, or just jamming with friends and their various instruments. Music and mental health is a fascinating subject; past SHARP members have delved into this subject and I am full of hope that future SHARP members will do so as well. Johnson, B. T., Redding, C. A., DiClemente, R. J., Dodge, B. M., Mustanski, B. S., Sheeran, P., Warren, M. R., Zimmerman, R. S., Fisher, W. A., Conner, M. T., Carey, M. P., Fisher, J. D., Stall, R. D., & Fishbein, M. (2010). A Network-Individual-Resource model for HIV prevention. AIDS and Behavior, 14(Suppl 2), 204–221. (doi: 10.1007/s10461-010-9803-z) (ResearchGate).